Fire or ice? The conundrum posed by a famous poet failed to puzzle Capt. Horace Atwood in 1872. As his smoldering ship sped across the Indian Ocean, fire and ice were a deadly combination, conspiring to destroy the vessel and kill him and his crew. When the Hampden sea captain died a century ago at the age of 81, nearly four decades after his adventure, the Bangor Daily News took the opportunity to reprint the dramatic story of his valiant struggle aboard the doomed ship Montana, sailing with a shipload of ice from Boston to Rangoon. Atwood “was one of the last of the old time deep sea ship masters of Maine and had commanded big and fine ships in many trades and all waters of the globe,” said his death notice on Jan. 19, 1910. The next day a much longer piece based on a long-ago interview with him about his Indian Ocean adventure took up most of page 10. The author was the paper’s city editor and well-known writer, Lawrence T. Smyth. The Tudor Ice Co. of Boston, Atwood’s employer, shipped great quantities of ice to the East Indies. The Montana, a “fine, new 1,400-ton, Newburyport-built half-clipper,” sailed for Rangoon with all the ice she could hold and a crew of 26. They were past the Cape of Good Hope, well into the Indian Ocean, when the crisis began to unfold. A crew member opened the hatch to the fore peak (the section of the hold made by the angle of the ship’s bow), and out came a puff of smoke. Capt. Atwood was down below. When he heard the cry, “Fire,” he bounded out of the companionway in one jump. He saw a little cloud of smoke, “nasty smelling, like bilge water.” The second mate yelled, “Clap on that hatch — quick with it — or —.” Atwood and the mate knew instantly they had “a hot ship” under them. No point in feeding the fire with fresh air. They determined that the nearest land was St. Paul Island, a volcanic rock 1,000 miles away. With “a fair wind and everything on her,” it might take eight or 10 days to get there. They were outside the usual shipping lanes, so they couldn’t expect help from a passing vessel. “Clap on every rag she owns … Give it to her, Mr. Crosby,” said Capt. Atwood to his first mate. The ship’s carpenter brought up an armful of augers, and the crew drilled holes through the pine planks of the deck. Then the watch was set to work with buckets, scooping water from the sea and pouring it down the holes. After every bucketful came out a puff of yellowish steam with a sickly smell. This was an exercise in futility, of course. “Might as well pump into hell so far’s stopping that fire is concerned,” Atwood said to his mates in private. They knew the fire would burn the ship out from under them. But if she could sail for at least eight days, they might be able to make the land. On the third day there were “ominous mutterings” forward. A group of mutineers demanded to lower the boats and escape. Capt. Atwood ordered them back to work. “The man who makes a move to cut away a boat will get a bullet for his pains,” the captain threatened. He also said, “Any man who left here in a boat would go to certain death — there is no chance of being picked up within a thousand miles of here. The only chance is to stay by her, and stay by her we will.” The mutiny ended. As the days passed, the fire became hotter. The fore peak hatch was removed and a hose with a powerful pump forced more water into the hold. The yellow steam turned to copper-colored smoke. The soles of the men’s shoes were growing warm. The decks were baking, and pitch was beginning to show in little bubbles here and there. The oakum was loose and dry in the widening seams. Sudden belchings of smoke and steam at times drove all hands into the rigging. On the fifth day the attempt to slow the blaze with water was abandoned. The holes in the deck were plugged, and the hatches newly calked. But the belchings of the volcano came through the seams “as through the meshes of a sieve.” All hands now stayed on deck, part of the time in the rigging avoiding the heat and smoke. On their sixth night on the island, the men were rescued by a British ship for Rangoon that had run off course. After returning home, Capt. Atwood “bade farewell to the sea,” according to Smyth, but that wasn’t the end of his nautical career by any means. In the early 1880s, the captain sailed around the world with his daughter Harriet. She wrote a book about it later, under the name Harriet Atwood Freeman. It was republished in 1999 by Mystic Seaport. He had many other voyages with his wife. His two oldest daughters were born at sea. Atwood retired in 1885 to his farm in Hampden next to the old Hampden Academy building. His property included a good deal of land going down to the Penobscot River, including a scenic spot known as Squaw Point. He laid out paths, made rustic seats and bridges and built a pavilion, turning it into a park of sorts. He brought picnic parties from Bangor in a little excursion steamboat, according to a story about him in the Bangor Daily Commercial on Aug. 20, 1920. Later he was named a state steamboat inspector. Capt. Atwood, however, would always be remembered for his fiery run across the Indian Ocean on the ice ship Montana, when he learned firsthand the connection between fire and ice. Thanks to the Hampden Historical Society for information about Capt. 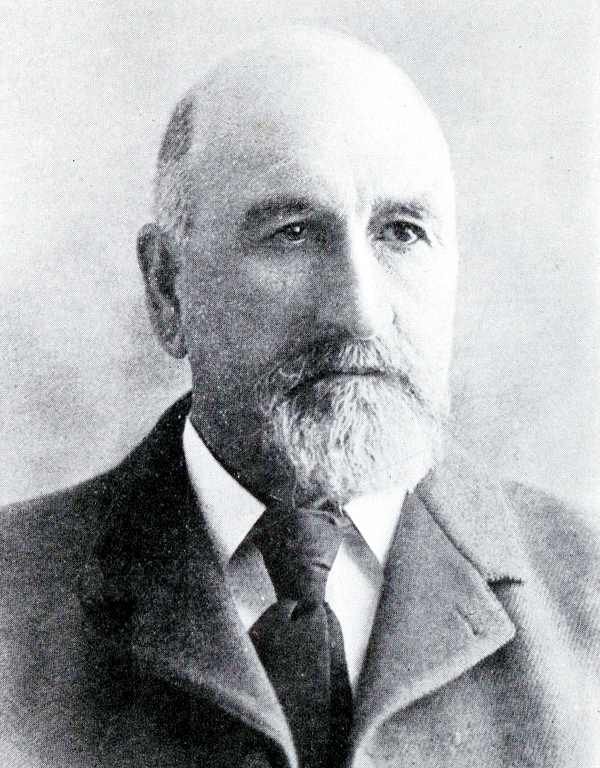 Atwood’s later life. Comments about this column may be sent to Wayne E. Reilly at wer@bangordailynews.net.